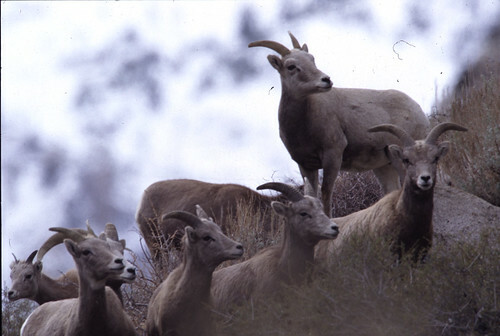 Through this photo gallery we hope to share the world of bighorn sheep with you. These majestic animals often elude photographers; but we have assembled a few selected images to share with you. Displaying behavior, habitat, forage, and management activities, these photos provide a glimpse into the work we do and why conservation of this endangered subspecies is so important.